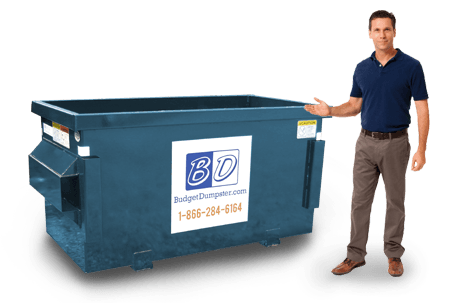 Budget Dumpster diligently provides a superior service that is unrivaled in the area. Our attention to our customers and their trash is what sets us apart from competition in the waste removal industry. Beyond customer service, Buffalo residents may also be interested in the most affordable dumpsters. 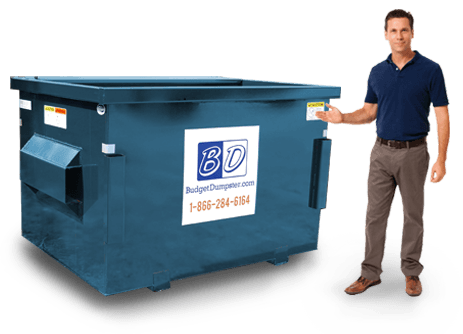 Every size dumpster is purposely set at the lowest possible rate, giving everyone the opportunity to experience proper waste removal. 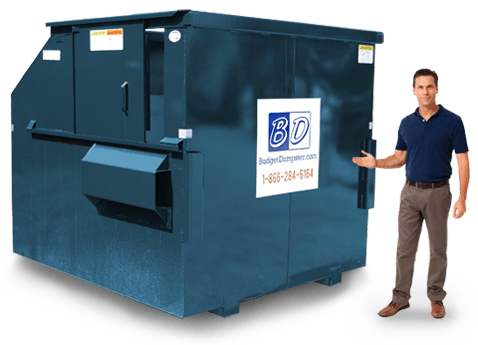 Although Budget Dumpster is the best in Buffalo, we realize the foundation of our success is our customers. Without the need to remove waste, Budget Dumpster would simply not exist. Let's work together to take care of your trash. 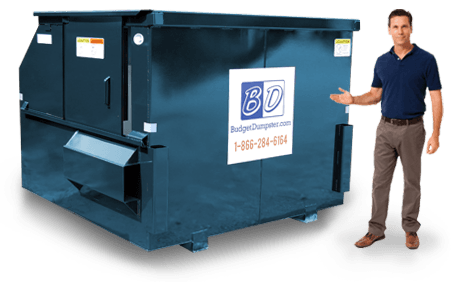 Begin your mutually beneficial relationship with Budget Dumpster by contacting us now! If you own a small business such as a boutique or restaurant, you will want to check out this 2 yard commercial dumpster. It is the smallest unit we have available and the most economical choice. If you own a small business that usually means you only have a limited amount of space to work with. This 2 yarder has a small footprint that leaves plenty of room. So if you have to put this dumpster in a parking lot, it shouldn't take up a lot of space. This unit is only 3 feet high which means it is very easy to dispose heavy waste. Just because this dumpster is the smallest, don't think it's incapable of holding waste. It can hold between 600-800 lbs. The 4 yard commercial dumpster is considered to be the "perfect" size. This 6 foot wide and 4 foot long dumpster is commonly used for medium-sized businesses. This is usually defined as a business that has roughly 50-100 employees. It can accommodate small-to-medium waste streams from restaurants and retailers. This perfect size commercial dumpster can hold between 800-1000 lbs. of waste. This is equivalent to two pickup trucks worth of waste. It can even handle the occasional bulky items. And because it is not too big and not too small, there are a variety of placement options. The 6 yard commercial dumpster is considered to be "The All-Arounder." You can practically find this dumpster anywhere. Shopping malls, apartment buildings, restaurants, you name it! This hefty 6 yarder is equipped with an easily accessible sliding door. Making those trips to the dumpster to dispose of heavy trash bags is easy. It can hold between 1200 to 1400 lbs. It is also great for those occasional bulky items you might have at your corporate office or apartment complex. So don't worry about desks or chairs. It will be able to handle it! Now it is time to introduce "The Big Daddy". The 8 yard commercial dumpster is the largest we have available. This massive unit can hold 1400 to 1600 lbs. of waste. It is the perfect option for large commercial settings. So go ahead and throw away those wood pallets. This commercial dumpster can handle bulky items and large volumes of trash on a weekly basis.